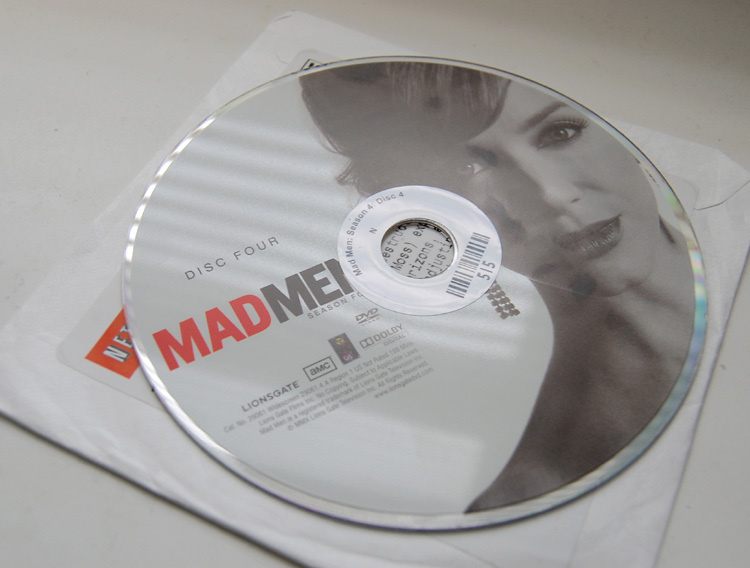 We waited and waited and waited for months for Mad Men season 4 to make it's way to Netflix and finally it did. We've been watching voraciously and yesterday the FINAL disk arrived in the mail. I swear I'm so sad that I feel like watching it in tiny little 15 minute increments just to make it last longer. I don't have the willpower for that however. I still have two more episodes to watch so DON'T tell me what happens, okay? In other endings the Shop - Stitch - Support event over at SeptemberHouse drew to a close yesterday. I'm happy to report that due to so many fantastic stitchers out there, I was able to donate over $175 to the American Red Cross. Thank you everyone who stopped by and bought a pattern in the last week!! Another little chapter came to a close yesterday at our house when Peter said, "Mom, could you please stop putting notes in my lunch?" Apparently words have been exchanged around the lunch table about my notes especially the "ones with hearts on them". *sigh* fine then. whatever. I knew this day would come but it still isn't fun. But, the good news is that before I know it I'll have another little lunch to pack and I think a note from mom will be just fine (for a while at least). I'm passing on an award to you...check it out on my blog!